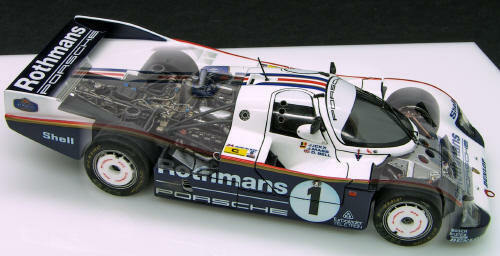 The 1/43 scale is not the favorite for model builders but for collectors, therefore this article aims at showing how a 1/43 scale model should be built and the pleasure of doing it. 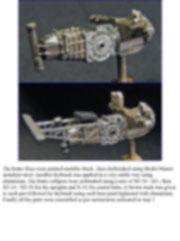 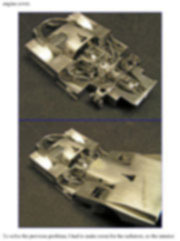 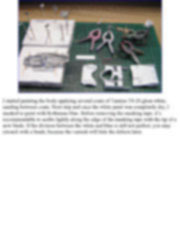 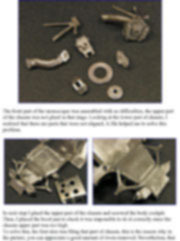 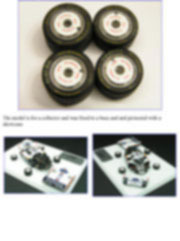 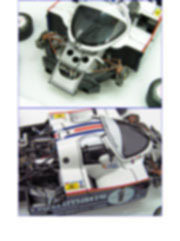 Besides the techniques used are similar for the construction of multimedia kits in other scales such as 1/24 and 1/12, so this article will also be useful in that respect. 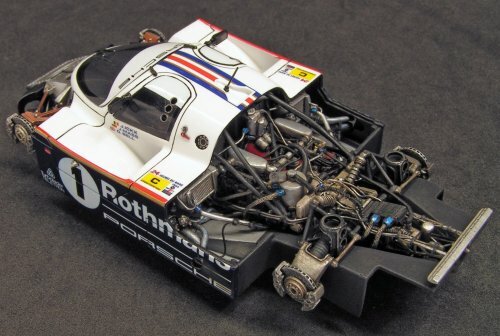 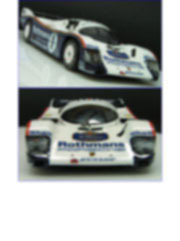 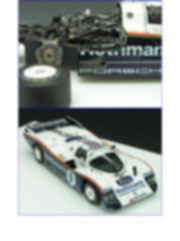 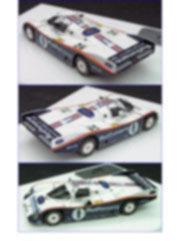 The Porsche 962 kit in 1/43 scale from Model Factory Hiro comprises a great number of white metal parts as well as PE, aluminum turned parts, springs, hardware…etc. 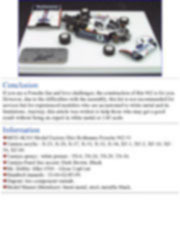 Basically it is a true multimedia kit. 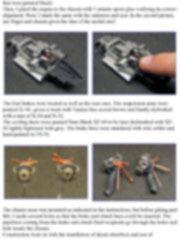 I think that due to the nature of its parts and the complex assembly, I would not recommend this kit for beginners. 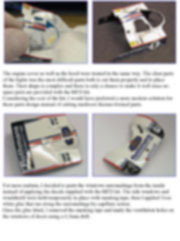 On the other hand, it’s expensive, but the final result shows us that it’s worth the money we spend. 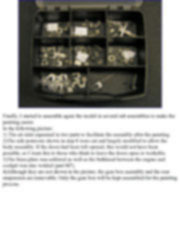 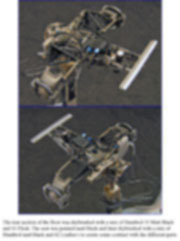 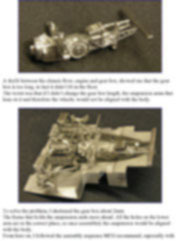 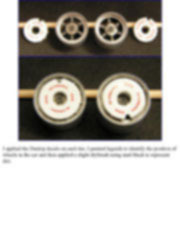 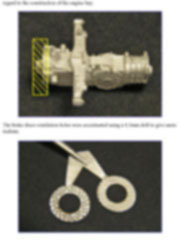 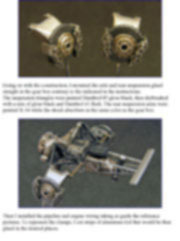 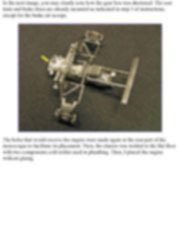 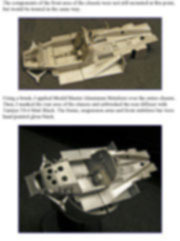 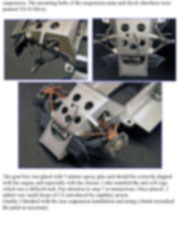 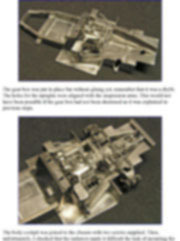 I started studying the instructions and as the parts are not numbered, I had to identify them by looking at the images on it. 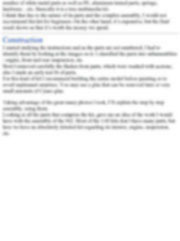 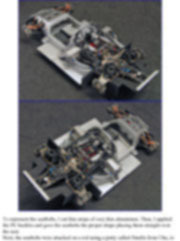 I classified the parts into subassemblies : engine, front and rear suspension, etc. 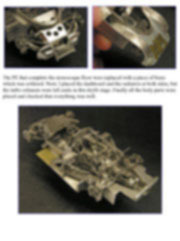 Next I removed carefully the flashes from parts, which were washed with acetone, also I made an early test fit of parts. 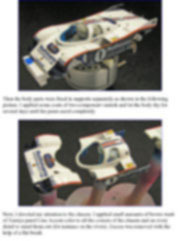 For this kind of kit I recommend building the entire model before painting so to avoid unpleasant surprises. 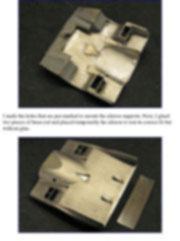 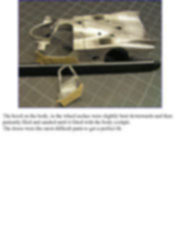 You may use a glue that can be removed later or very small amounts of Cyano glue. 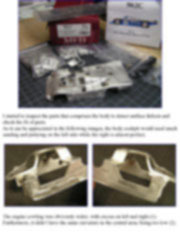 Taking advantage of the great many photos I took, I’ll explain the step by step assembly, using them. 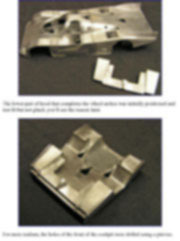 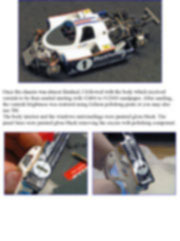 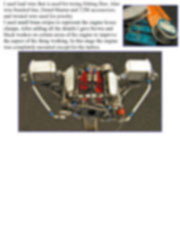 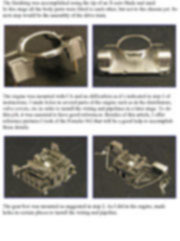 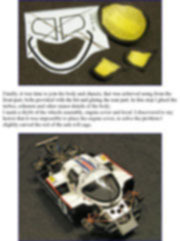 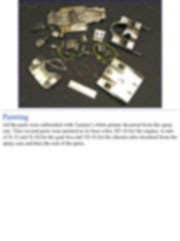 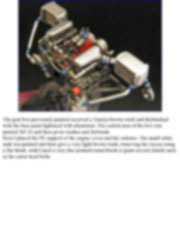 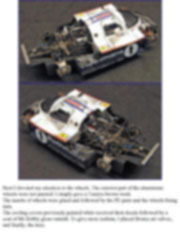 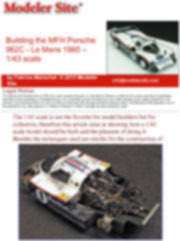 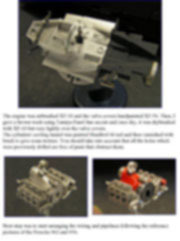 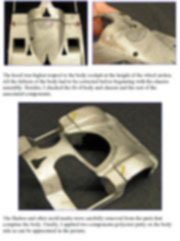 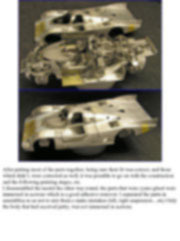 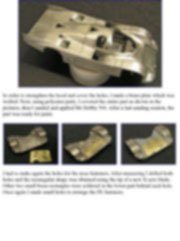 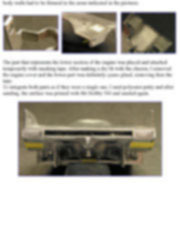 Looking at all the parts that comprise the kit, gave me an idea of the work I would have with the assembly of the 962. 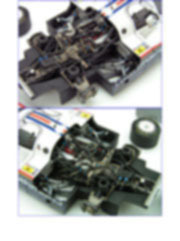 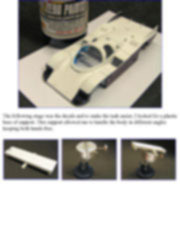 Most of the 1/43 kits don’t have many parts, but here we have an absolutely detailed kit regarding its interior, engine, suspension, etc. 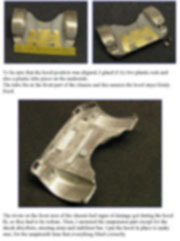 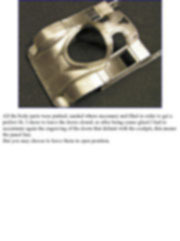 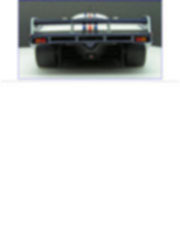 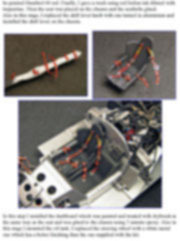 I started to inspect the parts that comprises the body to detect surface defects and check the fit of parts. 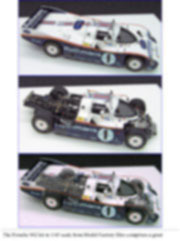 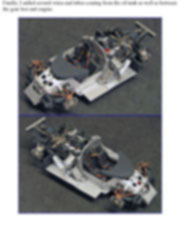 As it can be appreciated in the following images, the body cockpit would need much sanding and puttying on the left side while the right is almost perfect. 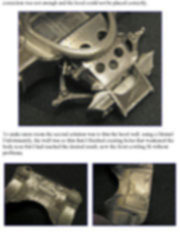 The engine cowling was obviously wider, with excess on left and right.(1). 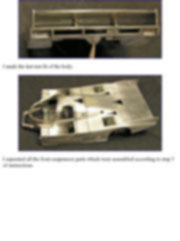 Furthermore, it didn’t have the same curvature in the central area, being too low (2).